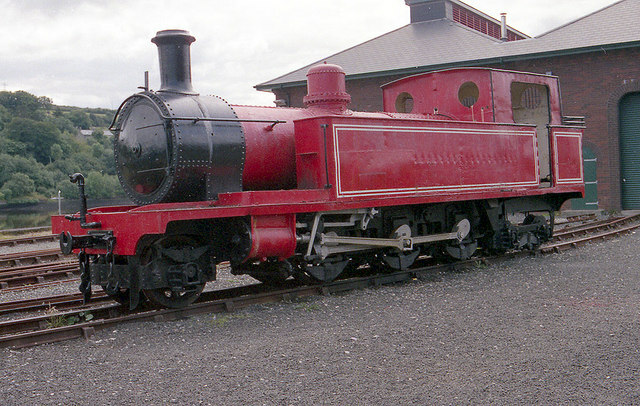 The locomotive in the image is a 3ft 0ins narrow gauge locomotive built for the CDJRC in 1907 by Nasmith and Wilson, originally numbered No.16 and named "Donegal". She was superheated in 1926 and then renamed and renumbered as No, 4 "Meenglas" in 1937. The locomotive was withdrawn from service on the 31-12-1959, when the CDJRC ceased to exist as a railway company. CDJRC = County Donegal Joint Railways Committee. © Copyright Wilson Adams and licensed for reuse under this Creative Commons Licence. This page has been viewed about 466 times. This guy looks really happy about his chosen career. He seems to be thinking "kill me now".